Question about how reiterate works in eggs. I cast Howl of the Horde (Raid-enabled) then Reiterate; what is the end result? The way it works is that you put the Ritual on the stack and copy it with boughtback Reitarte. 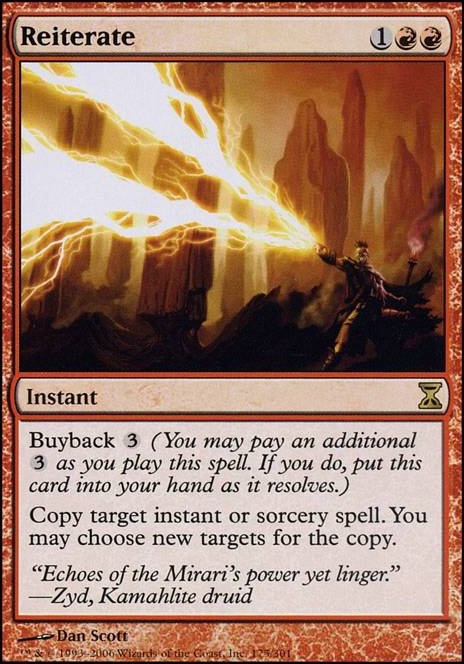 Once the Reiterate resolves you will get 3 Red mana and it will return to your hand and you can cast it again for 2 Red. Hey Man I love the deck. I'd advise trying out Reiterate , Fork and the mono red counterspells Red Elemental Blast and Pyroblast . They worked pretty well in all of the red spellslinger decks I've tried them in. The copy spells especially so a well placed fork can copy a game winning torment of hailfire or an annoying counterspell. Also if your opponents have 7 or more tapped lands then Reiterate and Mana Geyser make infinite mana. Hi, I would put some more of the copy effects in the deck like Reverberate . A little trick I learned while playing is if the Niv-Mizzet player counters Neheb you copy the counter with Reverberate or another similar spell. Then you target his counter with your copy of his counter spell. And of course you can use it to copy your big spells immediately or if it would get countert so that the copy resolves nonetheless. Fury Storm , Increasing Vengeance , Reiterate . These are all good copy effects with upside. Enchanter's Bane is probably a good card against the Tuvasa player. It does not cost much and will hit the Tuvasa player hard over time. 29 lands is not enough in a commander deck, you will find yourself mana screwed quite often. For a 2-colour deck, I would say have at least 34. 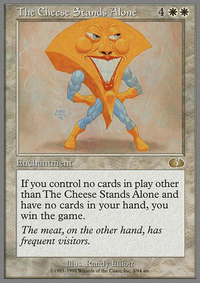 I would suggest cutting some alternative win-cons (Psychosis Crawler in particular, that's better suited in other Izzet decks) to free up space for lands. Your suggested tutoring with Firemind's Foresight to grab the combo doesn't work; both Comet Storm and Merchant Scroll are 2-cost. This can easily be fixed by tutoring Mystical Tutor as your 1-cost, Comet Storm for 2-cost and Reiterate for 3-cost, then use Mystical Tutor to grab any of your rituals. 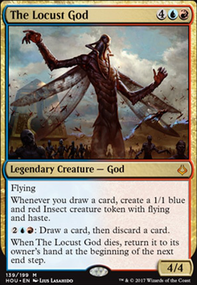 Consider adding some protection against combat, since you don't run many creatures; this is perhaps meta-dependent, but most commander players will see Mizzix and instantly target you as she has a reputation for storming off. Dissipation Field and Propaganda are good at deterring attackers in the early and mid game (I would cut Inexorable Tide for at least 1 of these, constant proliferate is overkill in my opinion).